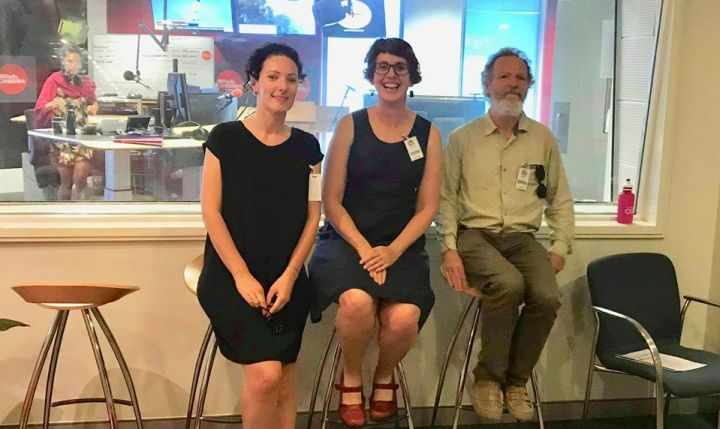 Last Friday, when it was heading for 40+ degrees, I was in the ABC 666 studios chatting to Paula Kruger about energy efficiency, thermal comfort and designing for climate, along with my architect friends and colleagues - Shannon Battison and Peter Overton. All three of we musketeers are volunteer members of the ACT Institute of Architects’ Sustainability Committee and proudly describe ourselves as solar-passive nerds! You can listen to the discussion at the link at the bottom of this post. I was proud of my scientist-self for going into architecture mode and 1. not correcting Paula for leaving “and science” off the business name; 2. for getting in a big pitch for “involving an architect in your house design” in my first spiel (without mentioning scientists) and 3. talking about the importance of collaboration between architects and builders to improve the quality of Australian housing. I am a massive fan of architects, but the Light House team will verify that it took a lot of willpower for me not to say the words science or scientist once! The week before, on Tue 16th when it was also 40+ degrees, I was in the studio chatting to Lish Fejer about surviving the heat at home. This time I had my thermal camera with me… because what sort of building scientist doesn’t! Not only was I able to confirm that Lish was hot stuff, I was also able to tell listeners that the surface of the ABC car park was 60 degrees at 5pm. Bare feet not recommended!